A selection of photos from the 2006/2007 period. Quite a bit of variety and loco colour schemes are around at this time. 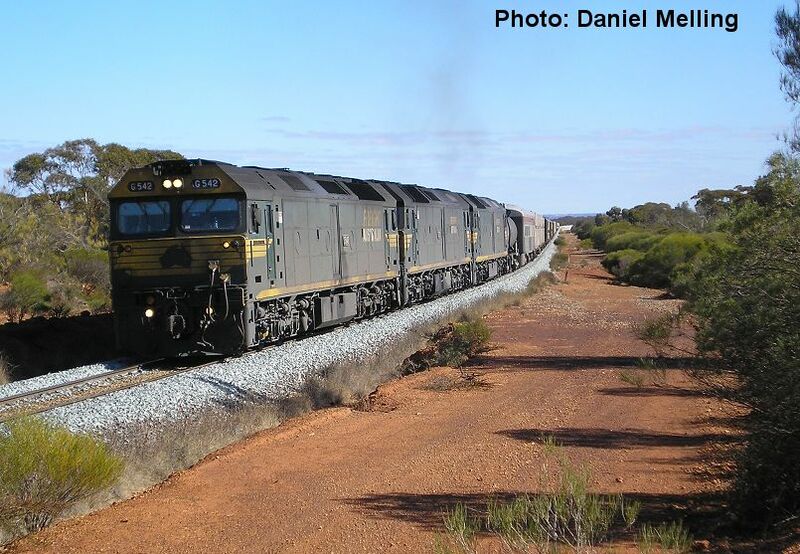 ZB2120 hauled a ballast train to Mullewa distributing ballast along the way, the first 30kms proved a test and the train had to be split twice. 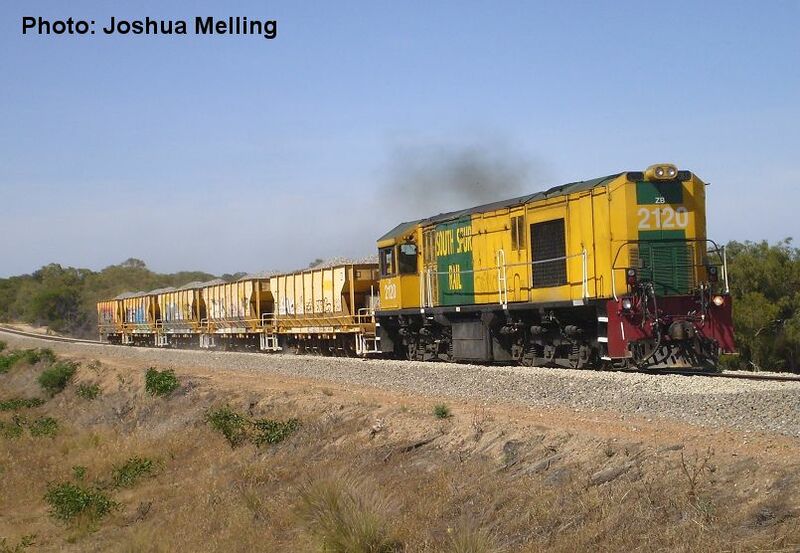 Here is one section near Bringo and this is not the first train to have difficulties due to the combinations of grade, curves, load & individual loco performance, only weeks later P2014 on a loaded iron ore also succumbed. Photo taken 25 November 2006. XRB562 is seen at Parkeston on 27 July 2006. The XRB cabless loco was being demonstrated to local Pacific National Crews prior to their regular use. 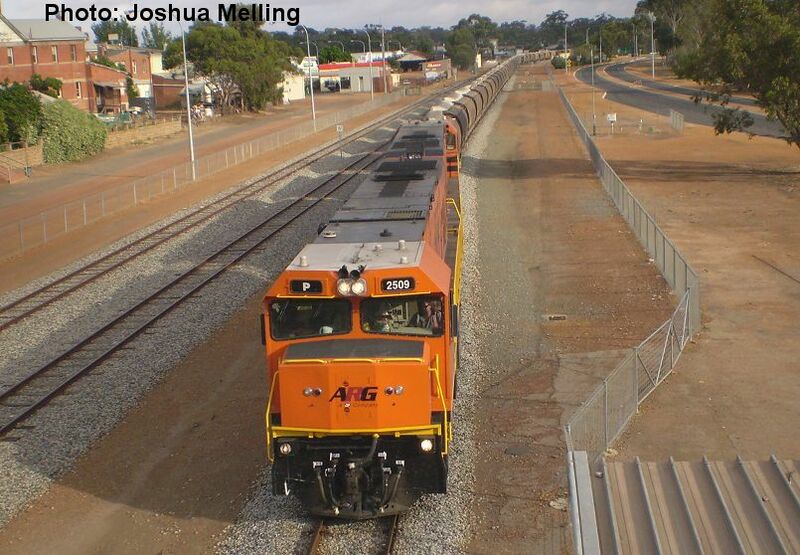 P2509/P2506 head through Narrogin towards the Kulin line with an empty grain on 2 January 2007. 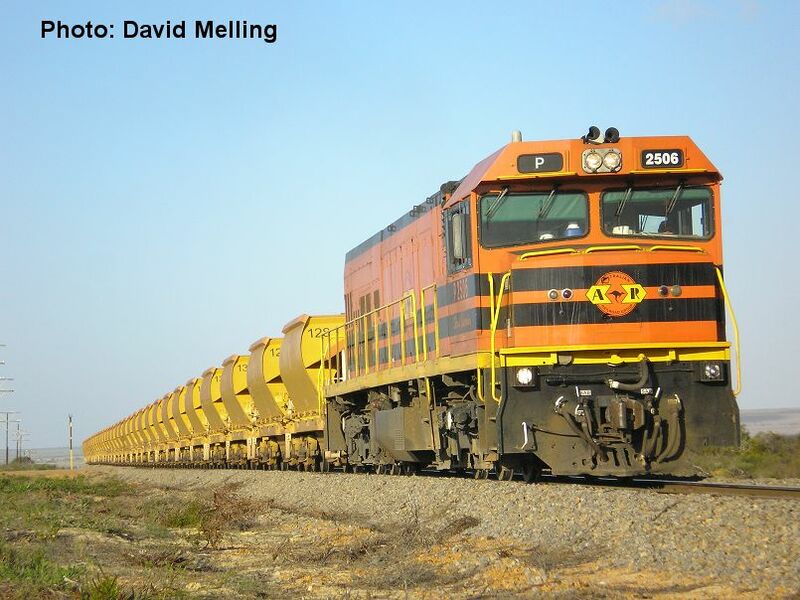 P2506 hauls a loaded iron ore train from Ruvidini (near Mullewa) towards Geraldton Port. The train is shown climbing the grade near Wicherina on 23 September 2006. 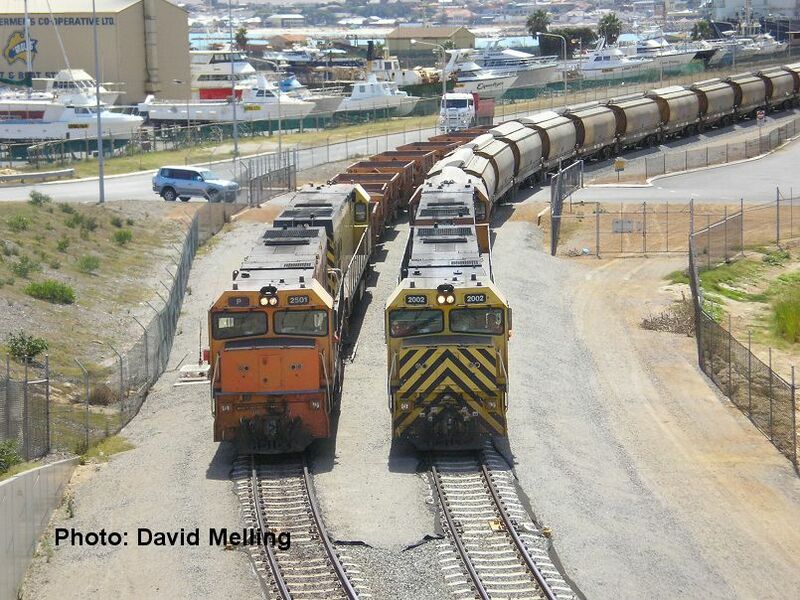 P2501/P2511 unload an iron ore train alongside P2002/P2010 which were unloading a grain train at Geraldton Port on 12 November 2006. 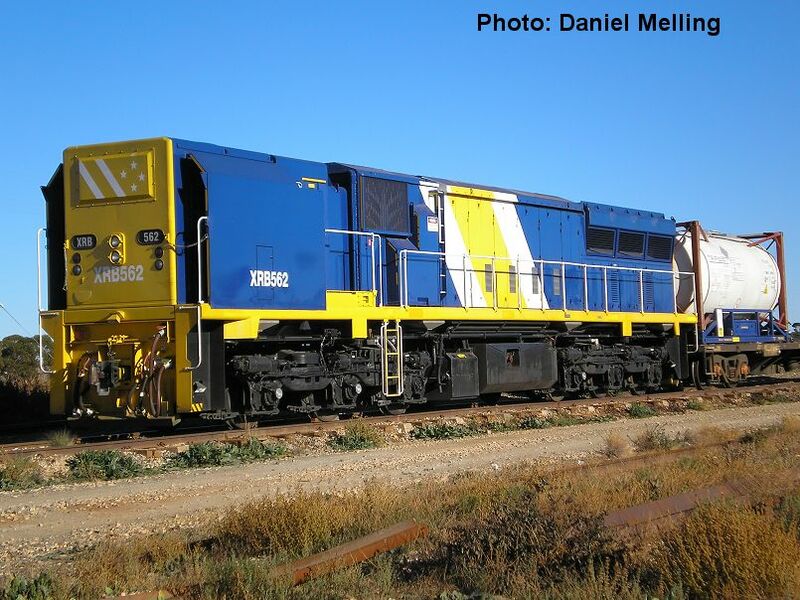 Since this photo was taken P2002 is now P2502 & P2010 has gone in for overhaul/ repainting. G542/G536/G538 haul an SCT train towards Adelaide photo taken near Golden Ridge on 29 July 2006.All of the G class have now lost their Freight Australia branding and carry Pacific National logos.